It always starts with a conversation. Electronic media can only get us so far; nothing can replace the opportunity to meet and to talk. Our role is to help individuals, teams and organisations to have the conversations they need to have. We do this by taking the time to understand our clients, their world and their ambitions. Getting the right conversation into the room unlocks potential: for individuals to develop and grow and for teams and organisations to do amazing things. Conversation is both the form that our work takes and the purpose of that work. Through conversation we become better able to name our thoughts and feelings, test our prejudices, seek meaning and share understanding. 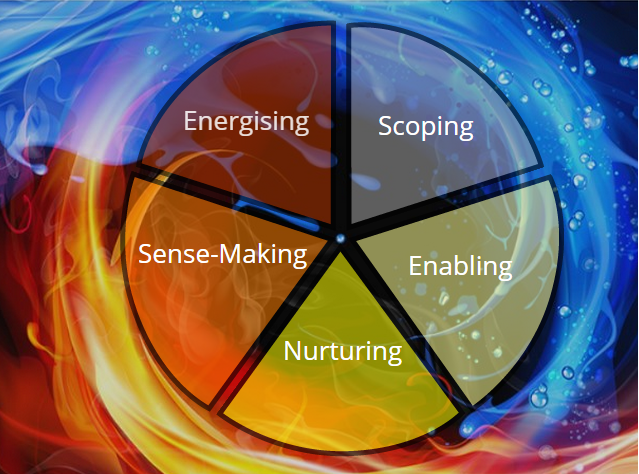 The SENSE Model© encapsulates how we work. It has five dimensions, which follow sequentially, but can equally be used back and forth as circumstances dictate. It is designed to make things easy and help our clients get to where they need to be quicker.